Amazon India has announced it was increasing its storage capacity in 2018 by 1.5X over the previous year, as continued investment in its fulfillment infrastructure to match its rapidly expanding business in India. With the addition of five new Fulfillment Centres (FC), Amazon.in now has 67 FCs in 13 states, with a total storage capacity of over 20 million cubic feet. This includes the recently announced specialized network of 6 FCs for the large appliances and furniture category and another specialized network of 15 FCs to support the AmazonNow business. These new FCs will be set up in Bangalore, Mumbai, Delhi, Vijayawada and Kolkata to support increased customer and seller demand from these regions. All of these fulfillment centres will be fully operational before the festive season of 2018 as Amazon.in continues to be the fastest growing ecommerce company at scale in India. “We want to ensure that Indian customers can buy anything, anytime from anywhere in the country. At Amazon, we have been consistently investing in our infrastructure and delivery network, to provide a superior experience to both customers and sellers. With the addition of this expanded infrastructure, we will be able to offer an even better Prime experience to our customers.” said Akhil Saxena, Vice President, Customer Fulfillment, Amazon India. Sellers save money by replacing their upfront capital expense with low variable cost and pay only for the storage space they use and the orders that Amazon fulfills. Sellers always have the flexibility to choose the number of products they want to have fulfilled by Amazon and scale according to their business requirements. 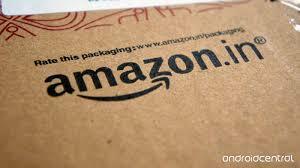 Currently, over 40 million products are available for immediate shipping through the network of Amazon’s FCs in India. This selection will only increase with the expanding FC footprint and benefit sellers and customers alike. All customers on www.amazon.in and the Amazon mobile shopping app have an easy and convenient access to over 170 million products across hundreds of categories. They benefit from a safe and secure ordering experience, convenient electronic payments, Cash on Delivery, Amazon’s 24x7 customer service support, and a globally recognized and comprehensive 100% purchase protection provided by Amazon’s A-to-Z Guarantee. They can also enjoy Amazon.in’s guaranteed next-day, two day delivery, Sunday and Morning delivery on products fulfilled by Amazon.